The Transat returned with a star-studded line of up ocean racers and adventurers all looking to join the annuls of history. The Transat bakerly is the oldest and first solo Transatlantic race, first launched in 1960 following the 3,000 mile Plymouth to New York route. One of the most important and historic events in the professional offshore racing calendar, The Transat bakerly celebrated its 14th edition by returning to its origins. 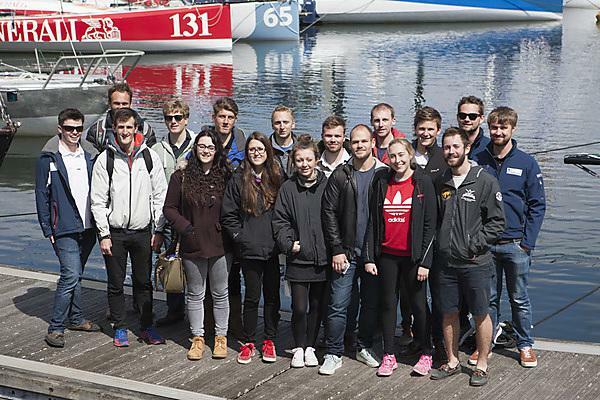 In addition to hosting in our waterfront Marine Station, students from UPSU sailing and powerboat club provided safety and marshalling support for Transat 2016 in Plymouth from competitors arrival to race start, and everything in between. The 14th edition set sail on 2 May, when the fleet left Plymouth breakwater to race 3,000 miles to Brooklyn in New York, where The Transat first finished 56 years ago. Between the two cities, competitors faced the ferocity of the Atlantic, with the ever-present danger of ice drifting down from the Arctic. They spent anywhere between eight and 18 days at sea, dependent on the boat, racing upwind for the majority of the race. 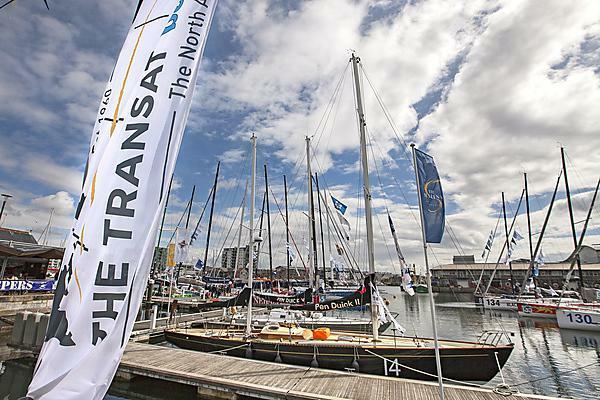 The iconic Transat returned to Plymouth for the first time in eight years with some of the biggest names in sailing taking part. View this video to learn all about Transat through the years. A group of students enjoyed a fascinating and insightful behind the scenes tour of the Transat boats and met the skippers as they undertook their final safety preparations ahead of the race starting on 2 May 2016. Race organiser OC Sports hosted navigation and marine sciences students who were accompanied by sporting excellence sailing scholars, a student volunteer with RNLI and UPSU sailing and powerboat club members, almost 50 of whom provided superb safety and marshalling support for Transat 2016 in Plymouth from competitors arrival to race start. Superb student experience! View the gallery below to see how their day went. Our lecture theatre was buzzing with almost 100 students, staff and members of the local community to hear from one of Transat's very own skippers, Phil Sharp. He gave a fascinating presentation about his sailing experiences and ambitions, and there was tremendous audience engagement through a Q&A session which ranged from sleep deprivation during the race to avoiding sleeping whales. The event began with a short talk by Hervé Favre, Transat Event Director with OC Sport, himself a keen sailor and the evening was hosted by Tom Crichton, Associate Head of the School of Marine Science and Engineering. Representatives from UPSU Media Society also had the opportunity to interview our speakers for The Knowledge magazine. University of Plymouth's waterfront Marine Station hosted the race organisers, the skippers lounge, and the media centre. This £5 million teaching and research facility was also the venue for the public launch of Transat back in January. Our Marine Station was completed in the autumn of 2014.